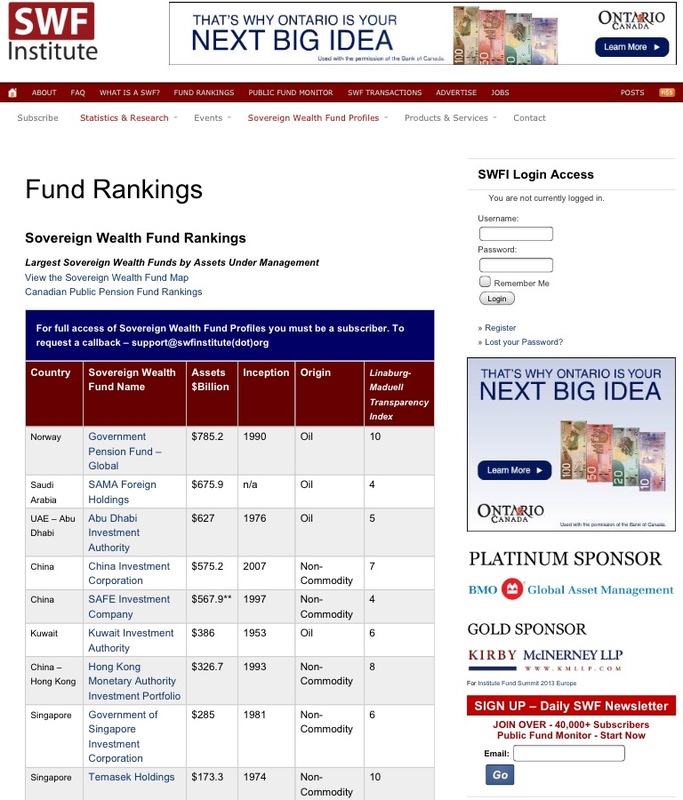 However, even though Singaporeans contribute the most into our CPF, and accumulate the largest CPF assets, we have the one of the least adequate retirement funds in the world. But why is this so? This is because we are paid very low returns on our CPF. 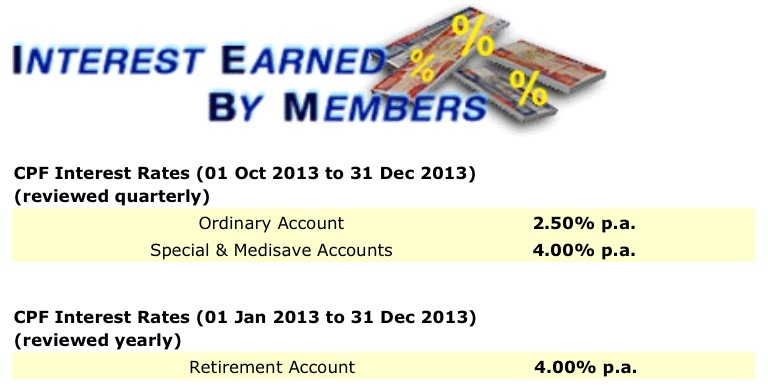 We are paid only 2.5% on the Ordinary Account and 4% on the Special and Retirement Accounts (Chart 1). According to the CPF Board, the 2.5% interest for our Ordinary Account (OA) is based on the interest rates of the major local banks, which was last at 0.21%. And because the CPF Board is required to pay us a minimum of 2.5% on our CPF, the interest on the OA has remained at 2.5%. For the interest for our Special and Medisave Account (SMA), it is based on the interest that the bonds (Singapore Government Securities (10YSGS)) that our CPF is invested in earns, plus another 1%. So, because the bonds are earning 2.68%, and the minimum our SMA has to earn is 4%, our SMA will continue to earn a 4% interest rate. However, why is there a discrepancy in the interest earned on our OA and SMA? In fact, do you know that according to the Ministry of Finance, our “CPF monies are invested in bonds that are issued and guaranteed by the Singapore Government“. So, if that’s the case, if our OA is also invested in the bonds, why is the interest rate on our OA pegged to that of the the major local banks? 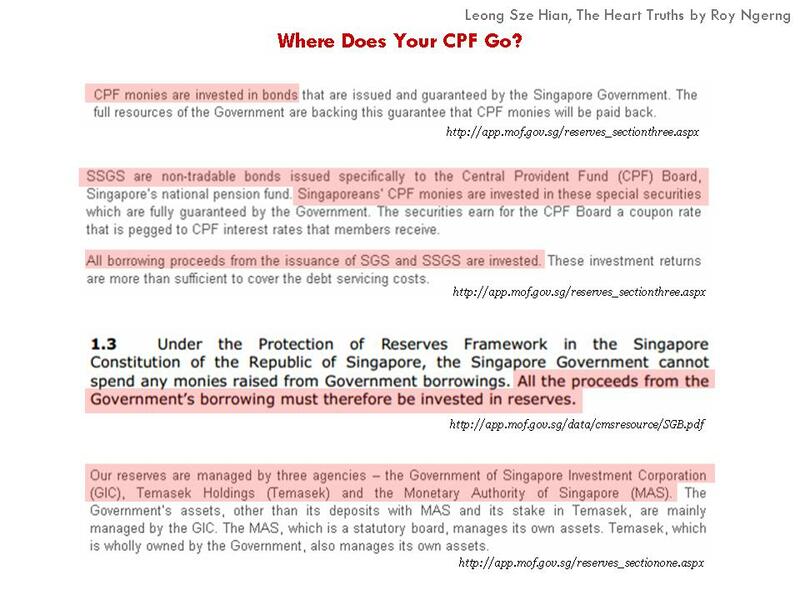 Shouldn’t it be pegged to the bonds that our CPF are invested in? 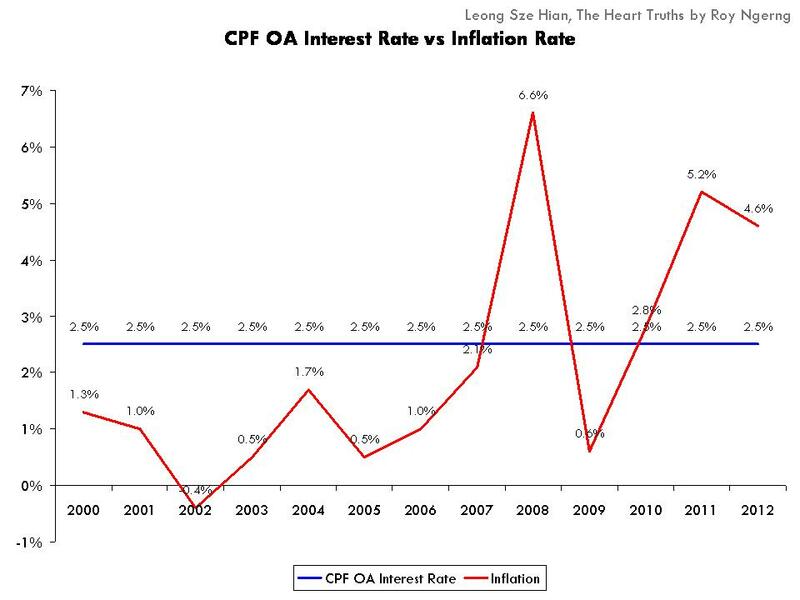 If so, shouldn’t our OA and SMA earn the same interest rates of 4% (Chart 2)? 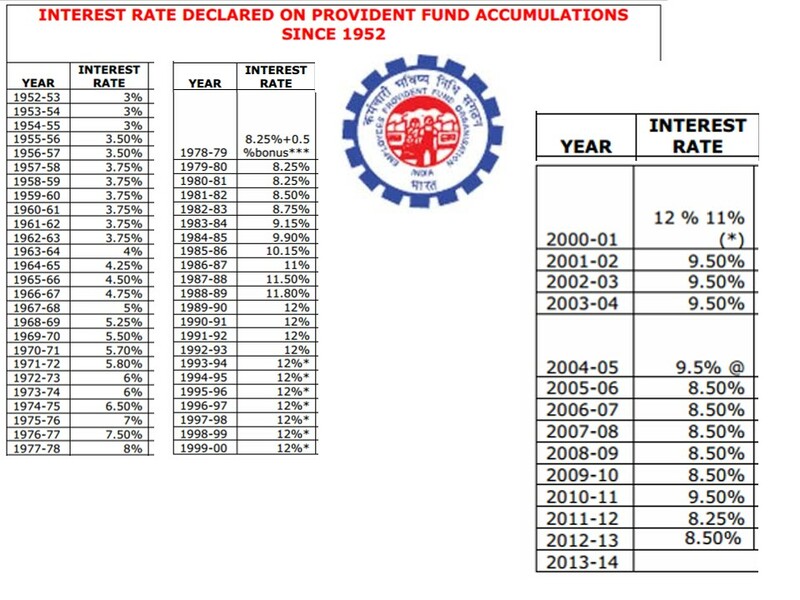 And do you know that it was only in 1995 that our OA and SMA started earning different interest rates? 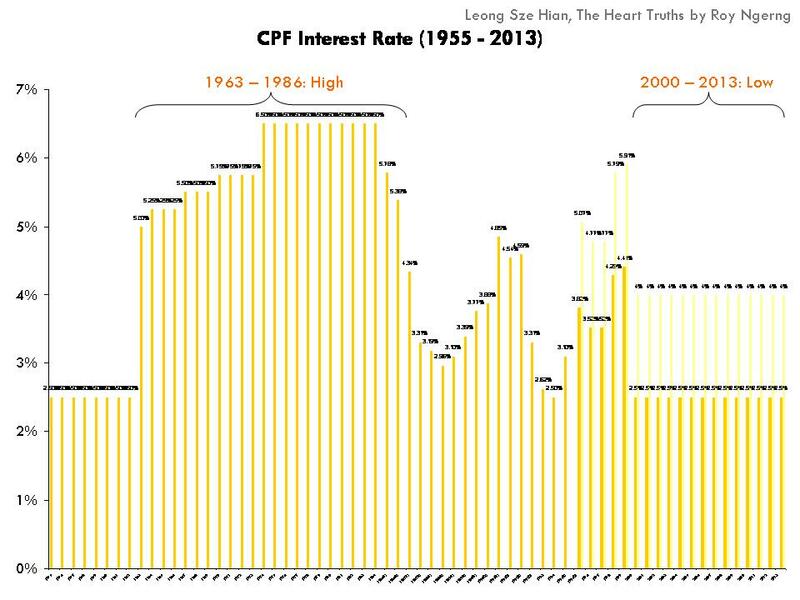 Before that, our total CPF would earn the same interest rate (see Chart 16). But that’s not even the problem. 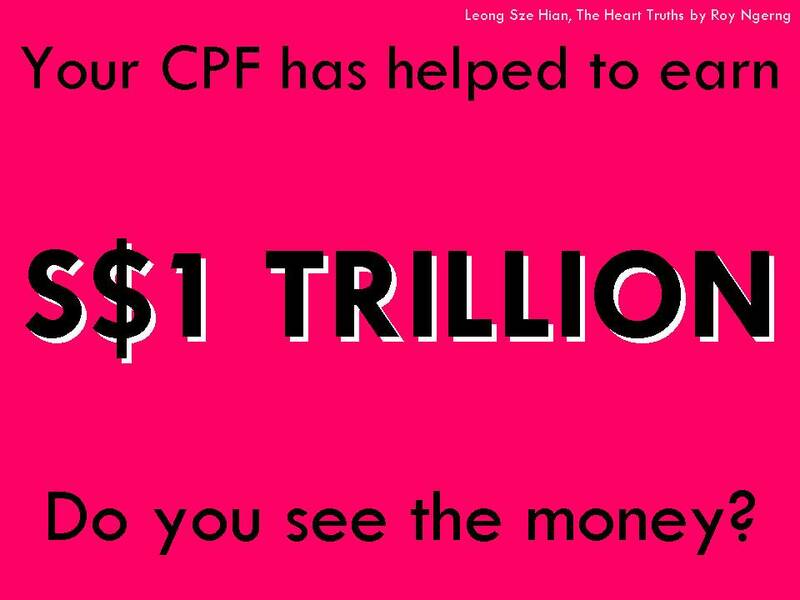 Do you know where our CPF is really, really invested in? Take a look at Chart 3 and looked at the pink shaded parts. So, our CPF is indeed invested in the GIC and Temasek Holdings! But more importantly, do you know how much interest the GIC and Temasek Holdings are earning? GIC earns an interest of 6.5% (Chart 4). Chart 4: Ministry of Finance: Section I: What comprises the reserves and who manages them? Temasek Holdings earns an interest of 16% (Chart 5). 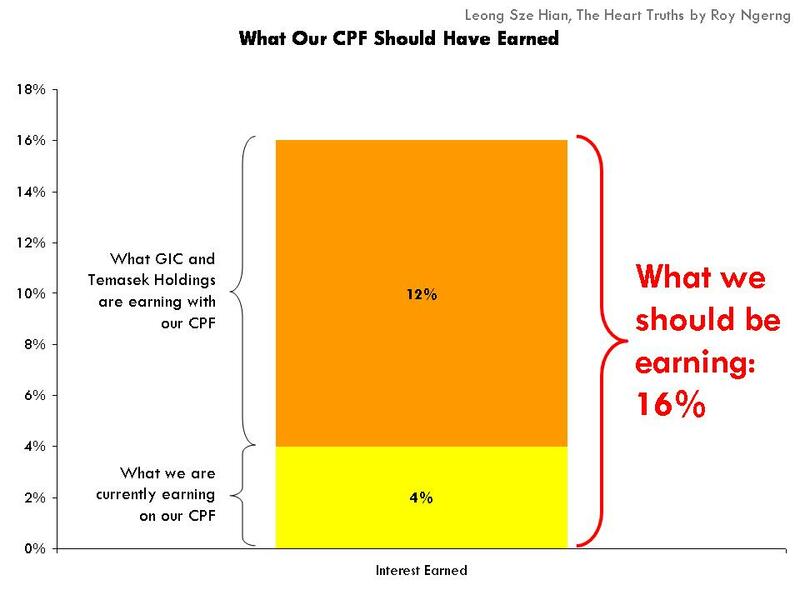 And if so, if our CPF is invested in the GIC and Temasek Holdings, and they are earning interest of between 6.5% to 16%, why are we earning only 2.5% to 4%? Shouldn’t we be earning 16% (Chart 6)? 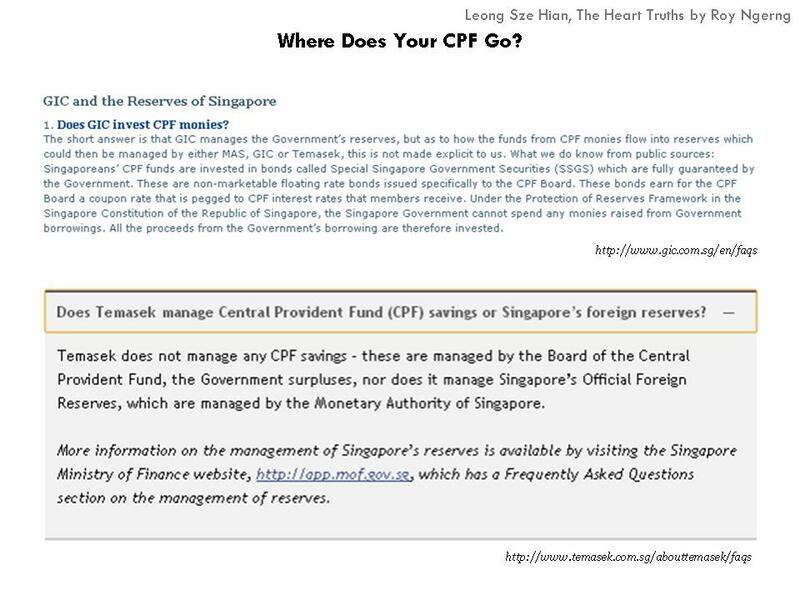 The question is also, why do the Temasek Holdings and GIC, as government agencies, continuously deny that they are using our CPF for investments (Chart 7)? As the largest government investment firm in Singapore, can the GIC really claim ignorance as to where the monies that they manage of Singaporeans come from? 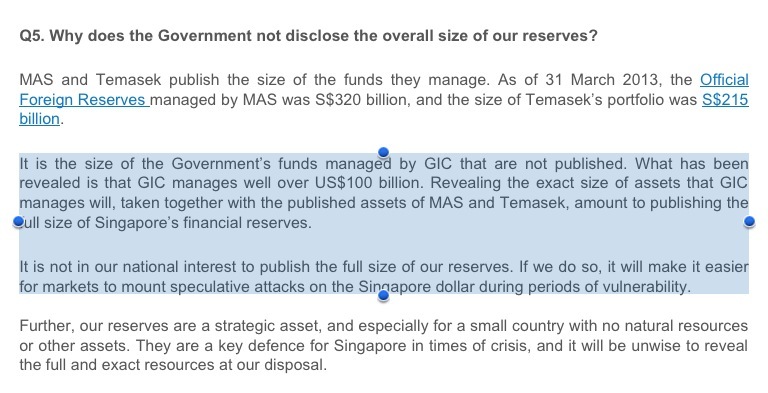 Not only that, do you know that the government has said that they do not want to reveal the “exact size of assets that GIC manages” because “if we do so, it will make it easier for markets to mount speculative attacks on the Singapore dollar during periods of vulnerability” (Chart 8). Chart 8: Ministry of Finance Singapore Section I: What comprises the reserves and who manages them? But then do you know that the size of GIC’s assets can be found readily available on several websites? It can be found on Institutional Investor (Chart 9). 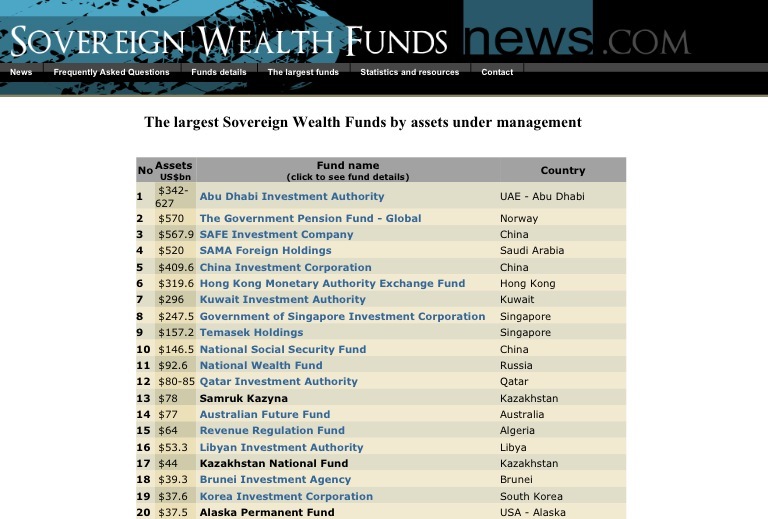 It can be found on Sovereign Wealth Funds News.com (Chart 10). 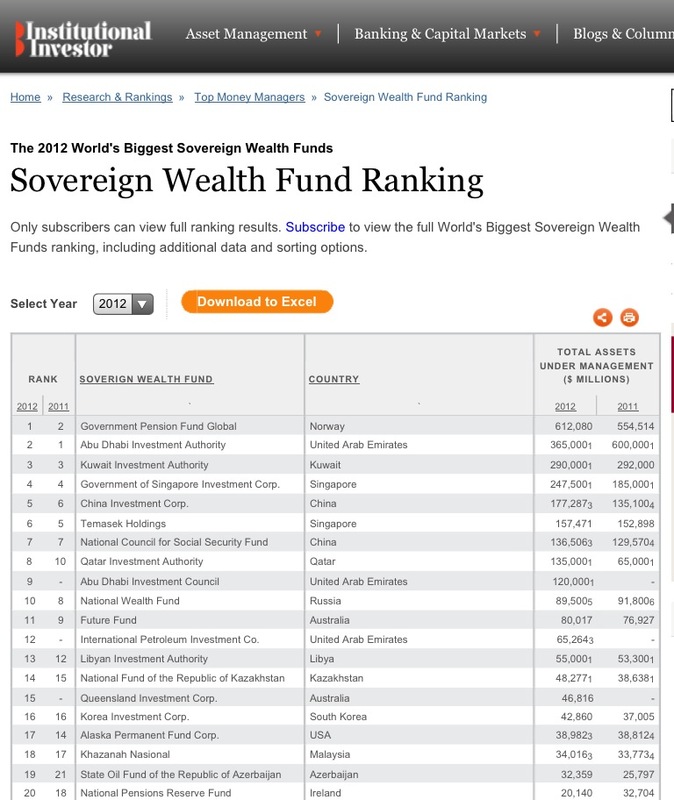 On Sovereign Wealth Fund Institute as well (Chart 11). And on Global Finance too (Chart 12). So, you see, the information is everywhere. Then, the question is – if the government already allows other people to know this information so readily already, then why does it want to tell Singaporeans that it is not in our interests to let Singaporeans know how much GIC is earning (from us)? 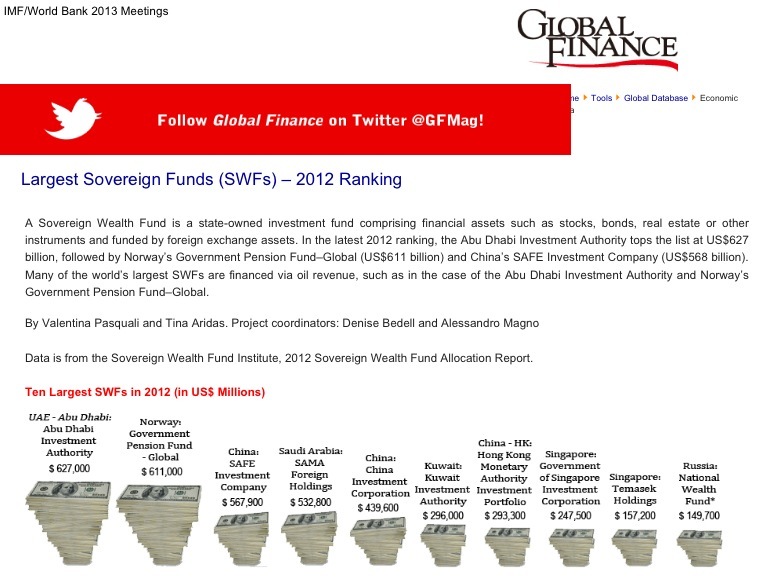 And if you look at the Global Finance website, it says that, “sovereign wealth funds … are pools of money governments use to generate profits”. Then if so, why aren’t Singaporeans seeing these profits?? 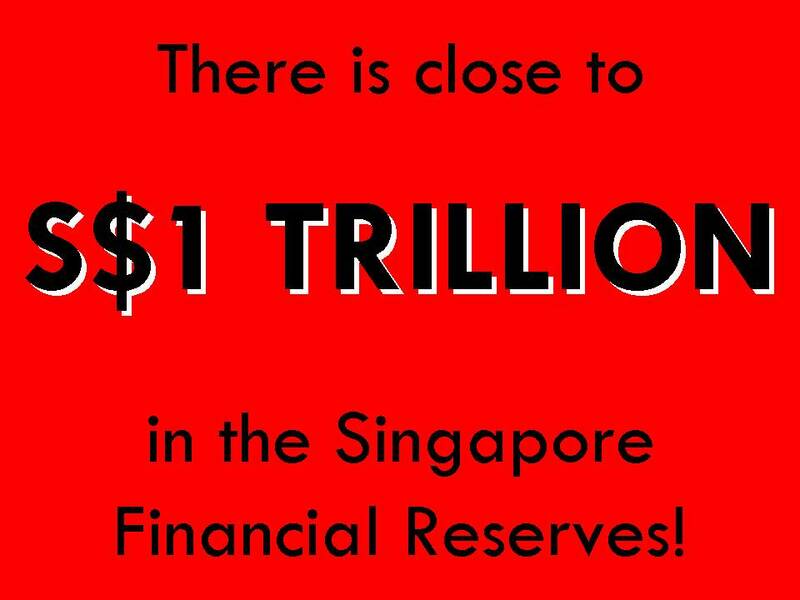 Do you know that together with the assets that the Monetary Authority of Singapore and Temasek Holdings manage, our reserves would stand at at least S$900 billion – or close to S$1 trillion (Chart 13)!! And if there are S$1 trillion in the Singapore reserves, then why the heck are Singaporeans earning one of the lowest returns to our CPF? 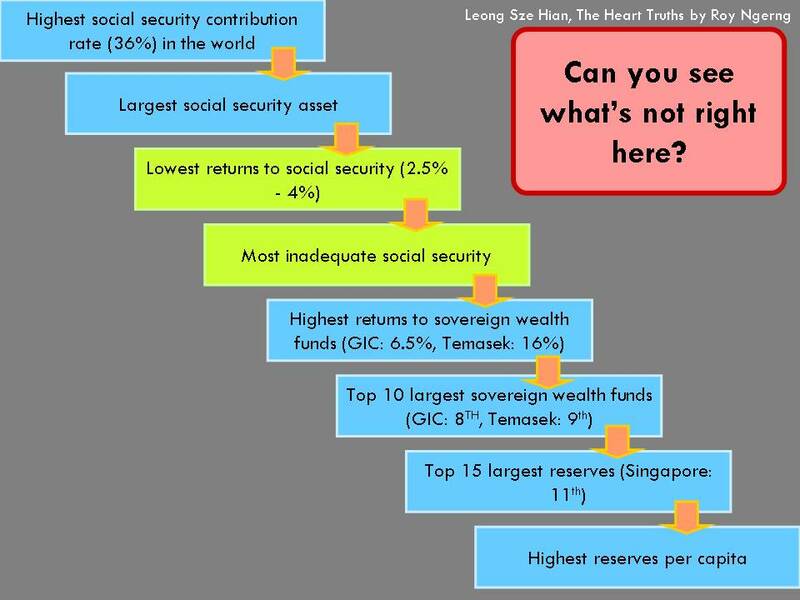 Why do Singaporeans still live on one of the least adequate pension funds? Why do most Singaporeans still have to work past their retirement – the highest in the region – because they cannot afford to retire? (Read Part 1 here for how inadequate our CPF is). If the Singapore government is so rich, why do Singaporeans continue to earn the lowest salaries among the high-income? Why does the government continue to spend the lowest on health among the developed countries and one of the lowest in the world? Why does the government continue to spend the lowest on education among the developed countries? Why does the government continue to spend the least public spending, such that Singapore now has the highest income inequality among the high income countries, and one of the highest in the world? Why is there still no minimum wage in Singapore to protect the low-income earners in Singapore and why do we have the highest poverty rate among the high income countries? 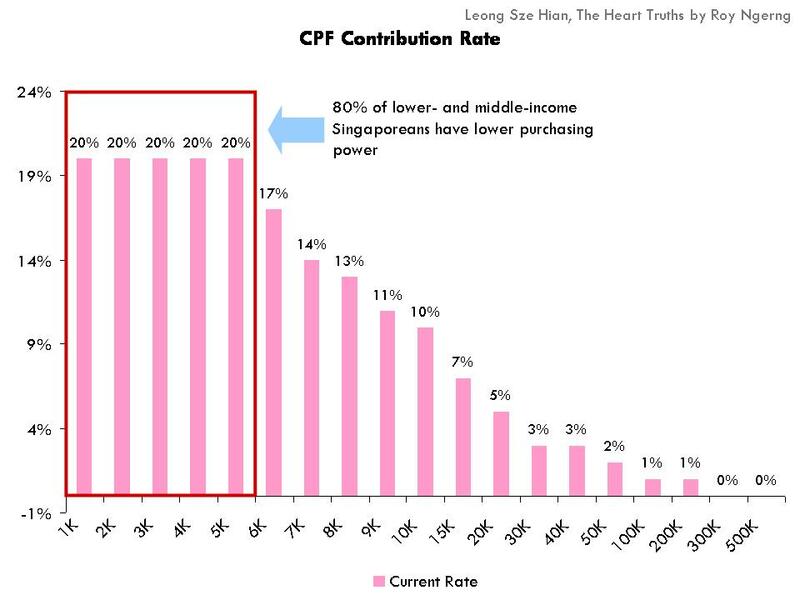 Already, the contribution rate that we are paying into CPF is regressive, as the lower-income Singaporeans pay a higher proportion of their incomes into CPF than the higher-income earners (Chart 14). In fact, nearly 80% of the lower- and middle-income Singaporeans pay more into their CPF, than the higher-income earners. Indeed, you can see that over the past few years, the inflation rate has been rising (red line), and has become higher than the returns to our CPF (blue line) (Chart 15). Not only that, do you know how much interest the other countries with social security are earning? This is what India is earning – between 8% and 10% in recent years (Chart 16). This is what Hong Kong is earning (Chart 17). 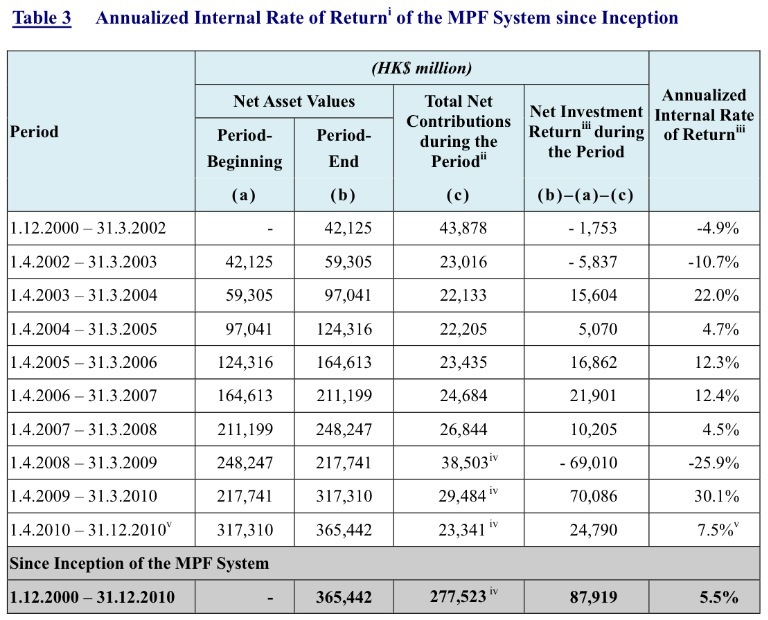 Note that, “as a whole, the MPF System recorded an annualized return of 5.5% over the 10-year period after fees and charges”, which is still significantly higher than the 2.5% and 4% on our CPF. It also “outperform(ed) the average annual inflation rate (0.7% per year) and the one-month HK dollar deposit rate (1.0% per year) of the same period“. This is what Malaysia is earning – between 4.5% and 6.5% in recent years (Chart 18). And if you look at what the Malaysians are earning, even after accounting for inflation, it is still higher than what Singaporeans are able to get back (Chart 19). And finally, here’s a look at how Norway, Ireland, Canada and New Zealand did – between 6.5% and 14.5% (Chart 20). 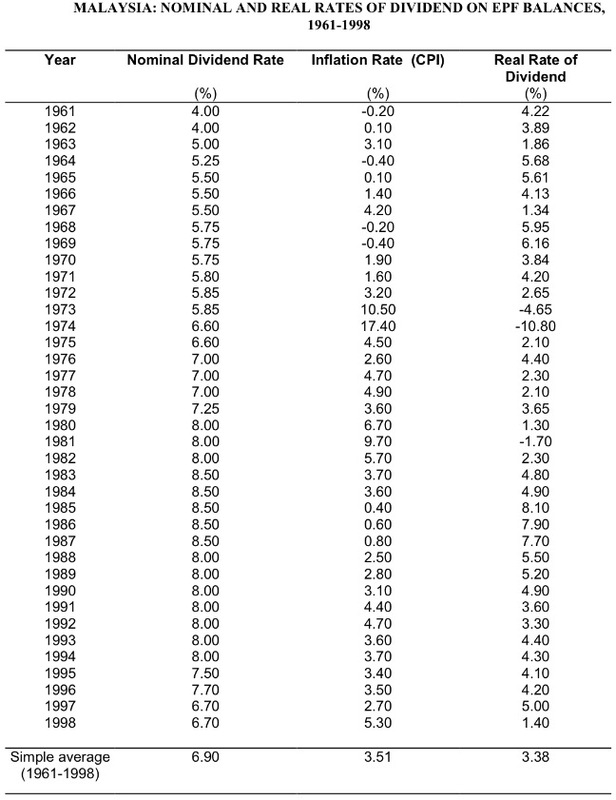 Interestingly, between 1970 and 1995, Singapore had also underperformed the other countries (Chart 21). But do you know that we didn’t use to always earn such a low interest? You can see in Chart 22 that during the earlier years of Singapore until the mid-1980s, Singaporeans were enjoying better returns on our CPF. The government used to protect Singaporeans. 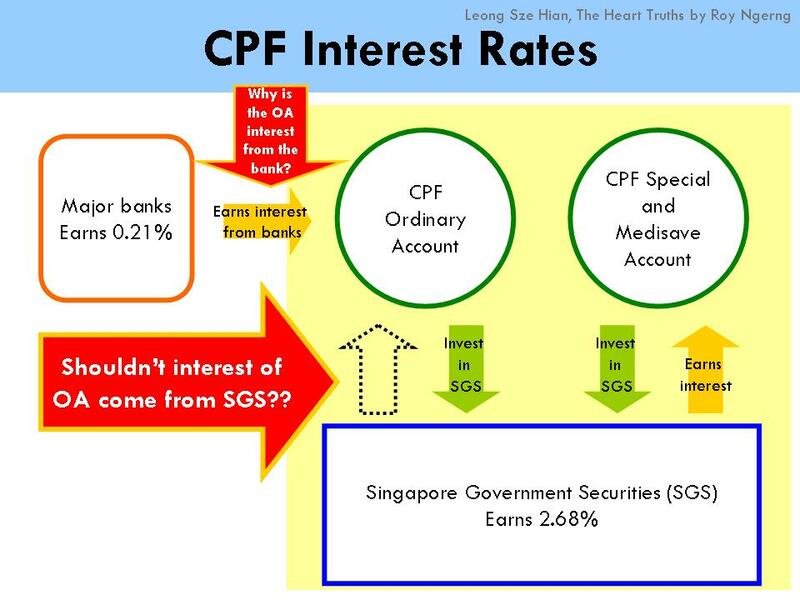 Thus it is precisely because the Singapore government mandates the fixed interest rates for our CPF, and does not channel the full returns from our CPF back to us (by indirectly taxing us on our CPF monies), Singaporeans have the least adequate retirement funds among the developed countries and with the countries in the region. Thus it is no wonder that fewer and fewer Singaporeans have been able to meet the minimum sum required to be set aside in the CPF. 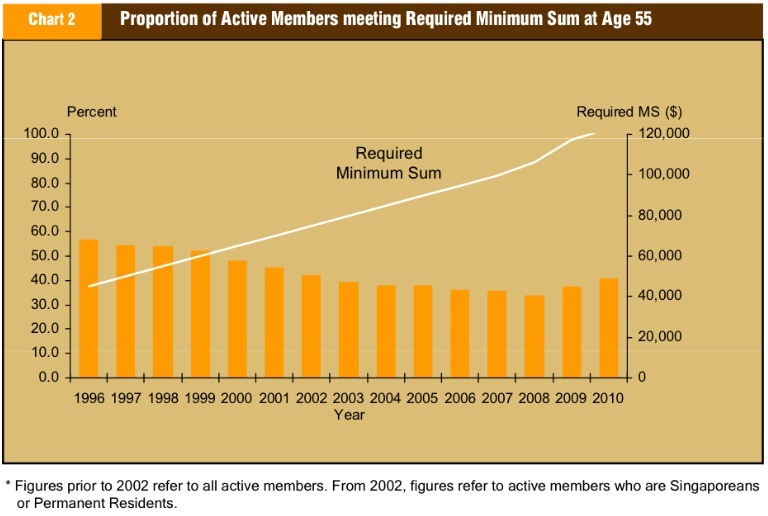 Barely 40% of Singaporeans are able to meet the minimum sum in 2010. 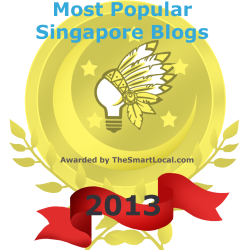 According to the CPF Board, in 2012, 48.7% of Singaporeans were able to meet the minimum sum. This is still lower than the 57% who were able to do so in 1996 (Chart 24). However, if you look deeper into the statistics, the actual proportion of Singaporeans who are really able to meet the CPF minimum sum would be even lower. The 40% of Singaporeans who are able to meet their minimum sum accounts only for active members. The 1,788,768 active members accounts for only 52% of the total 3,418,569 CPF membership. However, the qualification of those who can meet the minimum sum include those who can meet the sum “fully in cash, or partly in cash and partly via a property pledge“. Does it make sense to include property pledges in the minimum sum – would you have to sell your home to have cash to retire? 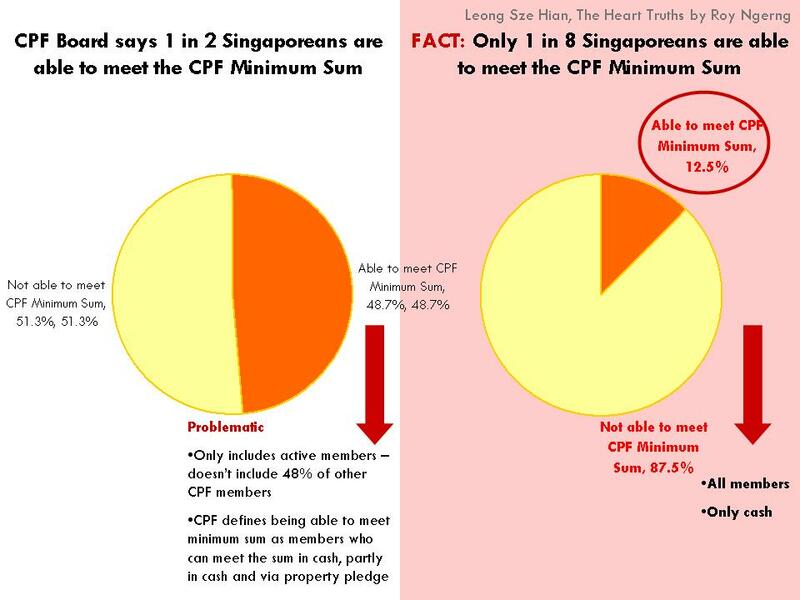 So, what this means is that, if we include the “non-active” members who are able to meet their minimum sum, solely on the basis of cash (and not including property which cannot be monetised with selling it), we estimate that the proportion of Singaporeans who can actually meet the CPF minimum sum would only be about 1 in 8 of Singaporeans (Chart 25). This is echoed by the National University of Singapore which had recommended that, the “investment policies and performance of the CPF Authority should be completely transparent, and de-linked from the government holding companies. All investments, wherever feasible, should be mark-to-market.” Also, “all returns on investment must be made known and go directly to the members’ individual accounts”. 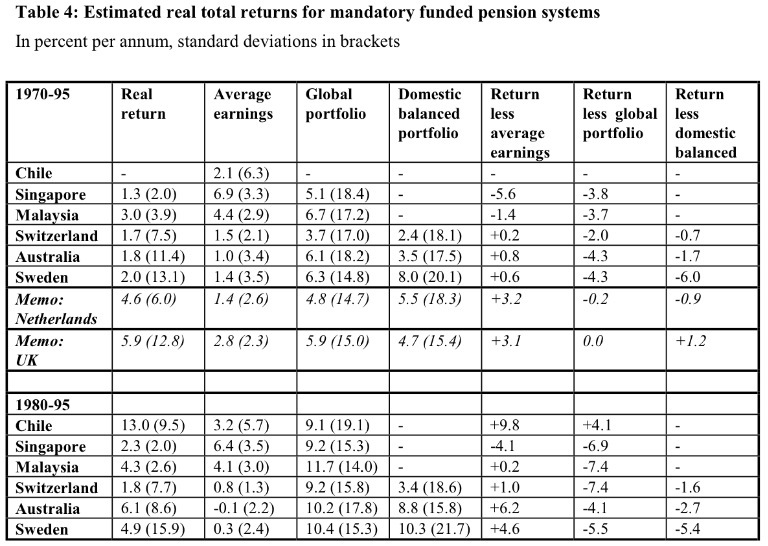 In sum, you can look at Chart 26 to see why the CPF system is highly problematic. 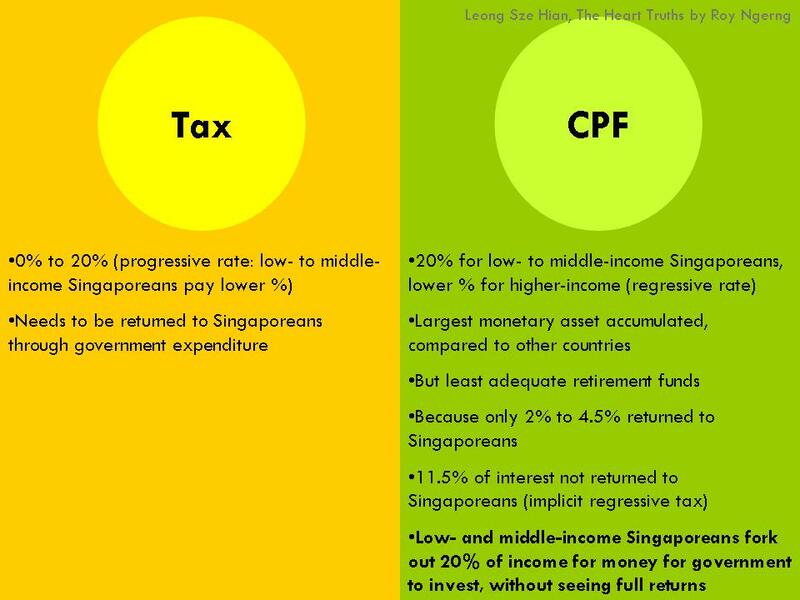 In effect, even though Singapore has an apparent low tax rate of 0% to 20%, this needs to be put in clearer perspective with the high CPF contribution rate 20%, which is the highest in the world. Also, the government has long used the rationale that because of the low tax rate, government spending has to remain low. Indeed, the Singapore government spends the lowest public spending among the developed countries. However, when you understand how we are actually paying a higher proportion of our incomes into CPF, which has created a massive pool of CPF monies – possibly the largest per capita social security fund in the world, but where we are receiving one of the lowest returns, if not the lowest in the world, you will understand that the CPF is effectively a tool created to efficiently take money from the people for the government’s own investment, without giving the full returns back. Compare this with tax, where the government is obliged to return the tax deducted from the people back to the people, in ways of expenditure. To put things into perspective, look at the chart below. Do you see what is not right? 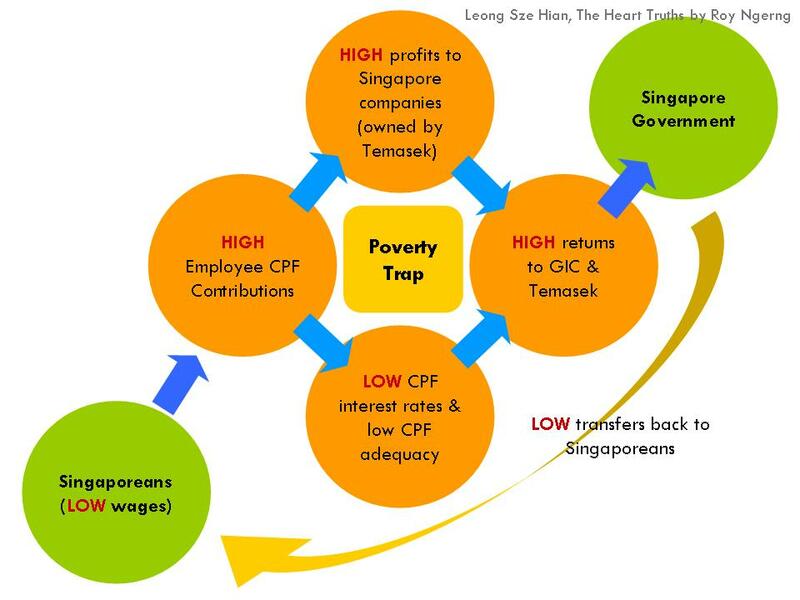 What’s really happening is that the CPF has become one of the tools to entrap Singaporeans in a cycle of poverty (Chart 29). Part 3 of the article can be read here. Keep up the good work! Let those responsible for the poor returns of CPF monies explain. Seriously , the government is making sure that your CPF money is put into good use. How much can you really do with that 20% off ur gross? When you reach 60 years old , you will be glad to have a fund for your retirement. P =1080. r = 4/100 = 0.04 (decimal). t = 30. You will have 1150 left , then invest with the 38% salary that you left . I knew a lot of working in Oil and Gas industry fresh grad are earning more than this , 4-5k per month min. Bro you no need to buy house issit? You buy house all gone liao lah. I think what you posted made a great deal of sense. But, think on this, suppose you typed a catchier post title? grab people’s attention? 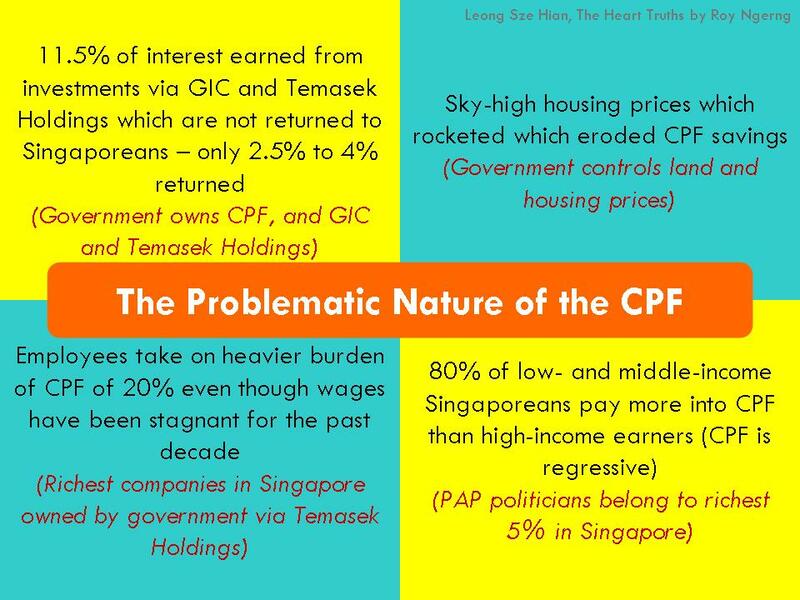 I mean SHOCKING Facts About Our CPF in Singapore! You might try adding a video or a related pic or two to grab people interested about everything’ve written. Just my opinion, it might make your posts a little livelier. U trying to con with a wrong formula? 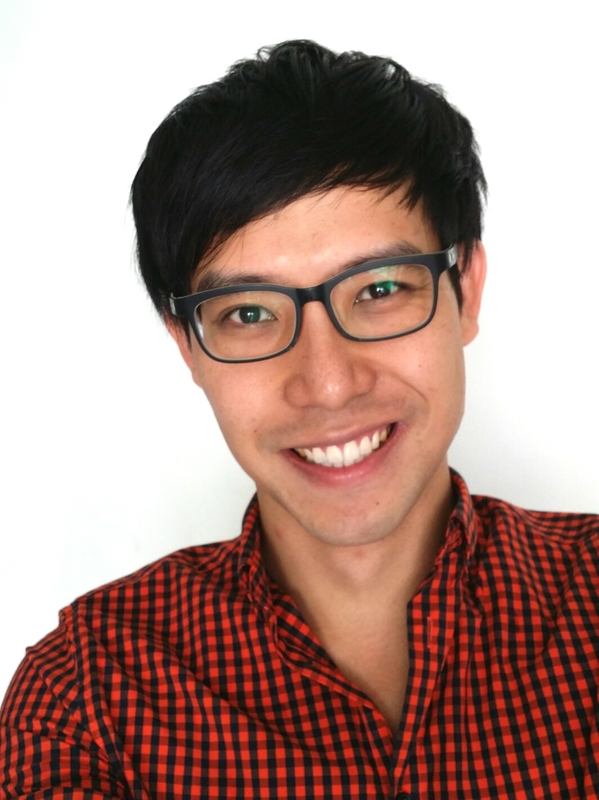 Did Sg employ you to con the Sg gov?